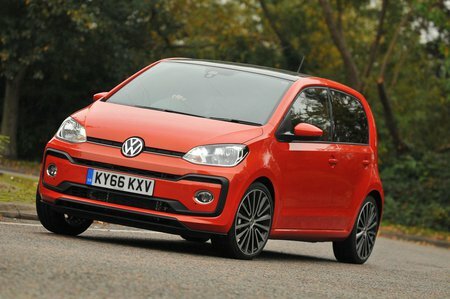 Volkswagen Up 1.0 Review and Deals 2019 | What Car? This 74bhp engine feels a bit gutsier than the 59bhp engine. However, it still struggles to keep up with fast-moving traffic, especially when hills are thrown into the mix. It could be had with a manual or automatic gearbox, and in High Up or Up Beats trim.